Tennessee may have earned its “Volunteer State” nickname in the early 19th century, but listening to Tom Ballard describe our state’s entrepreneurial ecosystem, it’s clear the title has just as much meaning today. In addition to serving as Chief Alliance Officer at Knoxville-based PYA, Ballard runs Teknovation, a thought-leading blog highlighting stories of technology, innovation and entrepreneurship. He’s been a LaunchTN board member for more than a decade, and he chaired the search committee responsible for finding our new CEO, Margaret Dolan. For new businesses in Tennessee, Ballard believes there’s a lot we can all do as “volunteers” to further statewide entrepreneurial growth. There are several ways to advocate for Tennessee small businesses, which Ballard says account for almost 80% of statewide job growth. Ballard has worked in and around telecommunications for almost three decades. While he says there is access to tremendous technology all around us in Tennessee, he wishes we could do a better job at commercializing it. “To open up opportunities for entrepreneurs to open businesses that are the type perhaps we haven’t thought about before, that require robust connectivity” — including rural communities, Ballard added. 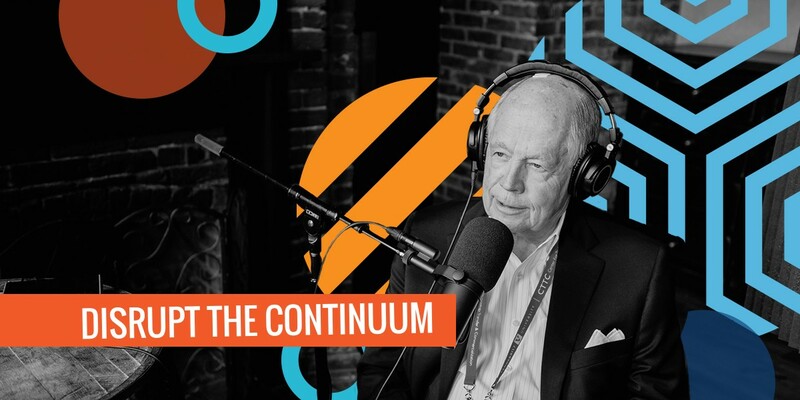 Subscribe to Disrupt the Continuum wherever you get your podcasts, and join LaunchTN for 36|86, Aug. 28-29 in downtown Nashville.